I stopped writing about music a few years ago because all I was doing was writing obits. So here I go again. Music appreciation is a subjective experience. You either like an artist or you don’t. Logic seldom applies to taste. I loved Weiland and Bowie and Lemmy, but I lived through the Eagles and Glenn Frey. I grew up in L.A. and for my pre-punk generation, after The Buffalo Springfield and The Byrds and The Beach Boys faded, the Eagles became our So Cal house band. It was an amazing time. Jackson Browne, Linda Ronstadt, JD Souther, Dan Fogelberg and the beloved Joe Walsh, were mostly immigrants to L.A. who created an extended family of musicians with gorgeous and emotionally-resonant songs. I have always thought you really aren't a songwriter until you can write a sad love song. Love songs are our oldest and most dependable inspiration. There is nothing wrong about listening to music with a tear in your eye. Even John Lennon, the cynic of cynics, was capable of a stunning tune like “Julia” (about his departed Mom). Love songs are important because they demonstrate strength by exposing the author’s vulnerability and celebrate the positive aspects of humanity by paying respect to our collective heart and soul. Old-school country love songs were often pained romanticism with a profound sense of loss. They could be weepy, but they were always real. The Eagles have been accused of homogenizing country music and bastardizing it into calculated Top 40 hits. In reality, they turned a nation of kids onto country music and made it possible for artists like Gram Parsons to get the attention they deserved. “Desperado” (1973) was a monumental concept album that equated rock musicians to outlaws in a narrative with serious literary cred. Without the Eagles, the best country rock songwriters of the 90’s, The Gin Blossoms, would have been just another Tempe bar band. Glenn Frey formed the Eagles and they were no doubt, his band. Like Stewart Copeland in the Police who deferred to Sting, Frey gave Don Henley free rein to be the spokesman. But without Frey’s muscular, Detroit rock-purist’s enthusiasm and business sense, the Eagles would have been The Don Henley Experience. Frey’s jockish cool was the perfect counterpoint to Henley’s sometimes pretentious wordsmith abilities and massive ego. Frey was the average-guy dude who put the rock in the Eagles’ rock and roll. The Eagles were the most commercially successful rock band in history. They sold more records than the Beatles or the Stones. But they never sold out to be commercial. They were popular because they were stupendous songwriters and those songs have not aged in the slightest. The next time you are home alone for an evening and taking a break from social media, listen to Eagles catalog nuggets like “Hollywood Waltz,” “Ol’ ’55,” “Doolin Dalton,” “Outlaw Man,” “Good Day in Hell” and “The Last Resort.” No band could vocalize their storytelling better and their unequaled Americana harmonies sounded like The Blue Ridge Mountains meeting the Malibu shoreline. I’ve heard a lot of lazy critics throwing together insta-obits like, “The Eagles gave us plenty of peaceful easy feelings and tequila sunrises and made America feel good.” Yeah they did all that, cause Lord knows, the 60’s were not a downer in any way. But they weren’t an invention of Hollywood or a simplistic Top 40 band. 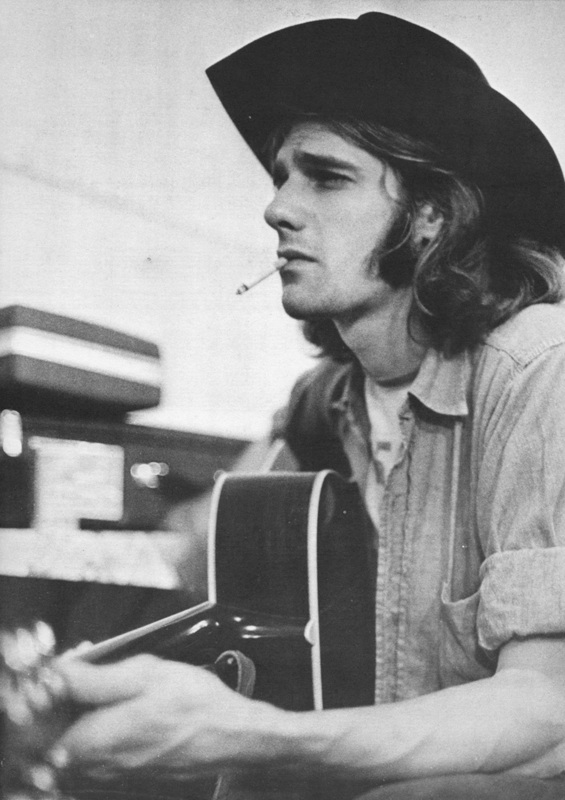 Glenn Frey was the face of the Eagles and a confidant, handsome guy he was. He might have had the best hair of any rocker in history and anyone can relate to that. His work certainly captured and symbolized a very specific place and time. Well-written tribute. Much like you, I grew up on the Eagles, and the whole LA music scene. They were a seminal part of my music appreciation and growth. You did a great job of putting into words what so many of us feel with Frey's passing. Thank you. I love this. You're a fantastic writer and this is a beautifully written piece on Glenn Frey and The Eagles. Thanks for writing this, Brian! Always a fan of your writing, Brian. Great reflection on Frey and the vibe that the Eagles gave to a generation. We're not just mourning Frey alone as a talented musician and singer, but the gifted and prolific team of songwriters, Frey and Henley.